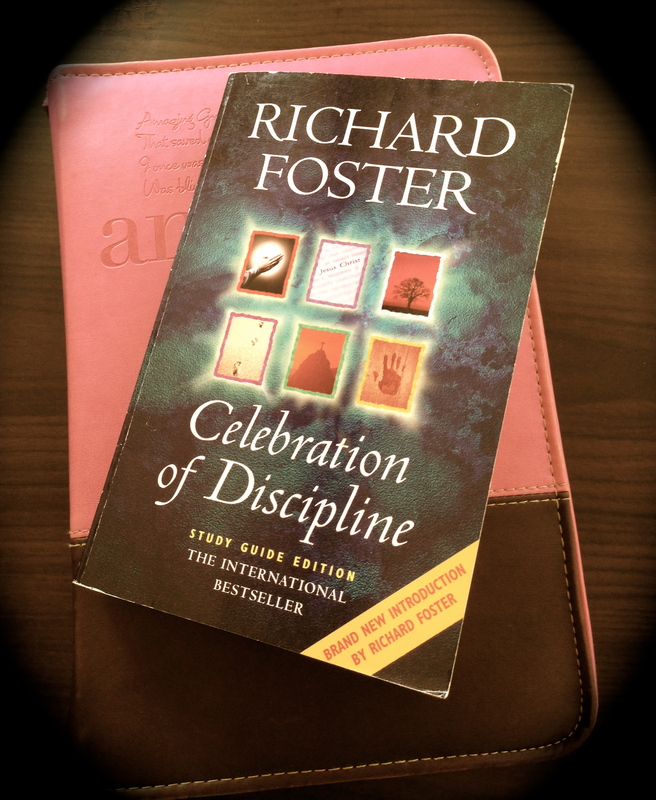 About eight or nine years ago a friend of mine recommended to me a book by Richard Foster, called Celebration of Discipline, and what a great book it is! It’s an older book, first published in 1980, but it is full of wisdom and guidance with regard to important spiritual disciplines which never age. At the time that I started reading it (I was probably 18 or 19), I’d have to say that I was not at a stage of being able to fully appreciate it’s words, but it has sat on my bookshelf ever since and I am so thankful for the teaching it has given me. In all honesty I’ve never finished the book, but I have picked it up numerous times to read about different spiritual disciplines that God places on my heart and calls me to. It is the kind of book that you always come back to, one that you’ll never throw out because it is just too valuable. Foster looks at a number of spiritual disciplines, first focusing on the “Inward disciplines” of meditation, pray, fasting and studying the scriptures. He then goes on to discuss “Outward Disciplines” such as simplicity, solitude, submission and service. Finally Foster discusses the importance of the “Corporate Disciples”, which we do individually but also as a community of believers – confession, worship, guidance and celebration. Many of these disciplines I believe have been forgotten in our very busy and noisy world, particularly the disciplines of meditation, simplicity, and solitude. It can be extremely difficult to not only make time to come before God to pray, fast and study His word, but to become silent before God, to meditate, to find solitude with Him, to submit to Him can be ever harder. Richard Foster in his book, Celebration of Discipline is calling us, as Christians, back to these spiritual disciplines which will in fact strengthen and deepen our relationship with Jesus Christ. If you have not already discovered this gem of a book, I encourage you to find it, buy it and put into practice some of these truly beneficial spiritual disciplines. God Bless.